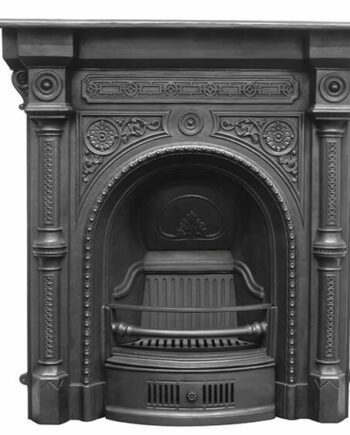 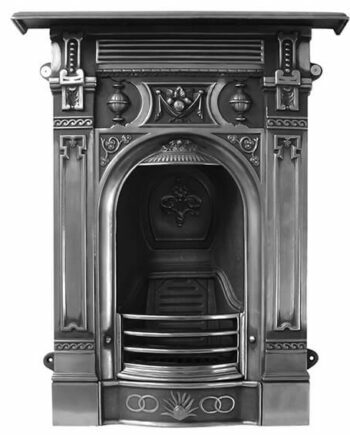 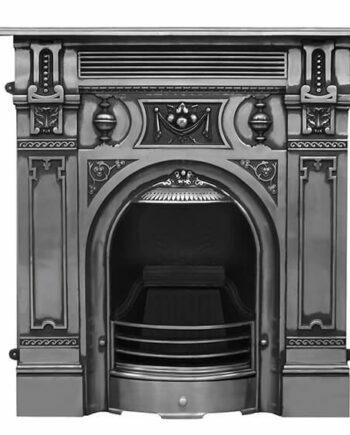 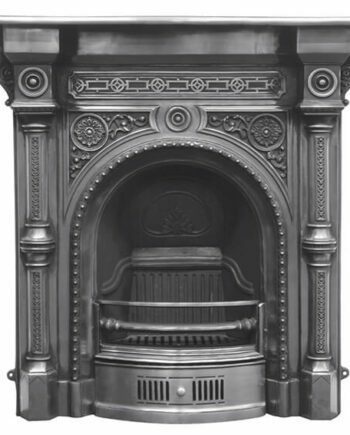 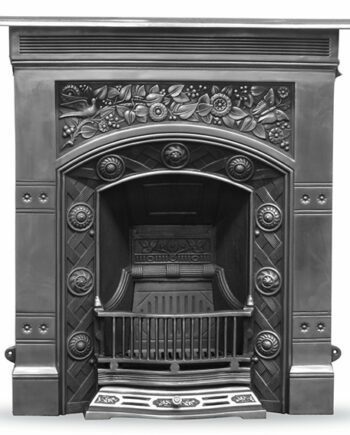 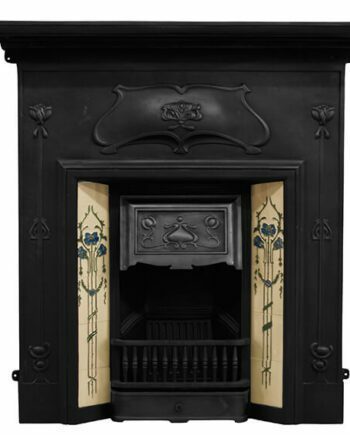 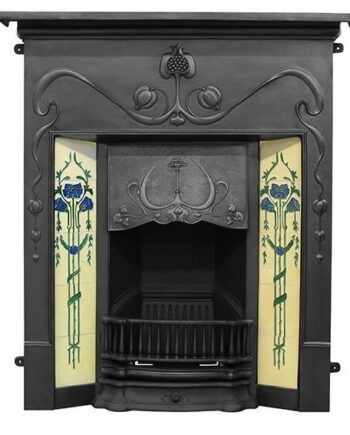 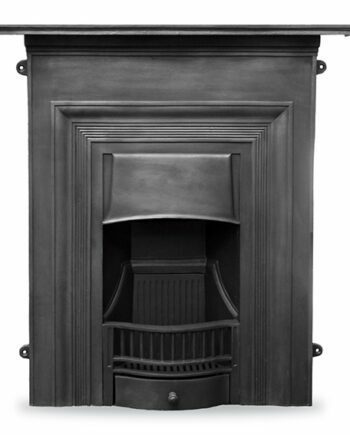 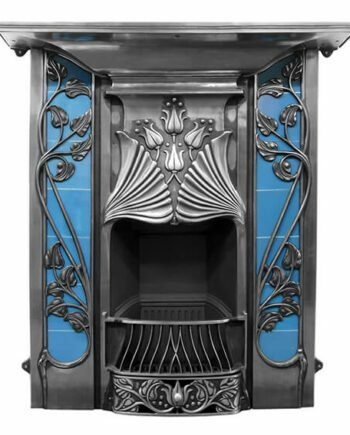 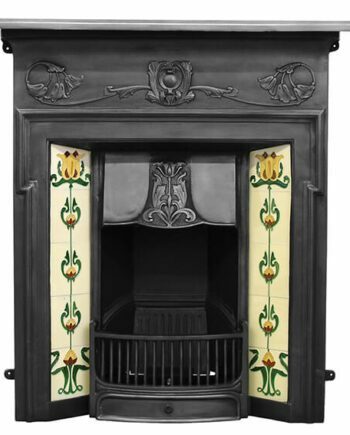 The Bella is a cast iron fireplace in the Art Nouveau style,with stylistic patterning that runs along the frieze and framing. 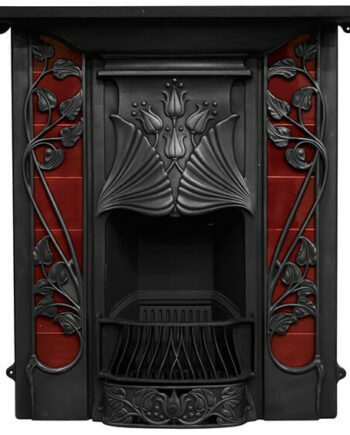 The artistic canopy offers a masterfully textured design with floral patterning. 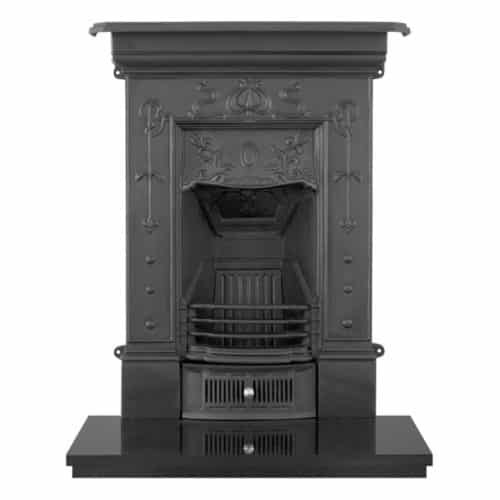 The Bella is also available in a larger size and in a black & full polish finish. 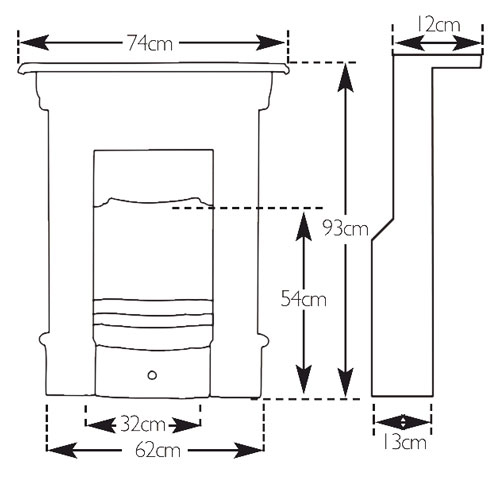 Please see the other listings reference product code RX090 & RX060.